CHRISTOPHER BRAM is the author of nine novels, including GODS AND MONSTERS, which was made into the Academy-Award-winning movie starring Ian McKellen and Lynn Redgrave. His most recent book is EMINENT OUTLAWS: THE GAY WRITERS WHO CHANGED AMERICA, a literary history released in February 2012. Chris has also written essays, movies reviews, and screenplays. He grew up in Virginia and attended the College of William and Mary. 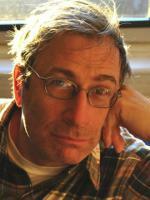 He currently lives in New York and teaches at New York University and LitReactor.com.